MELBOURNE, Australia – March 19, 2016 – PRLog — Australia’s premier car detailing company, Fine Shine Detailing, has introduced a new range of services to clients. Usually providing top-of-the-range detailing services to various car models Ford Mustang and Ferraris, Fine Shine is now offering car paint correction, car paint protection and car detailing. 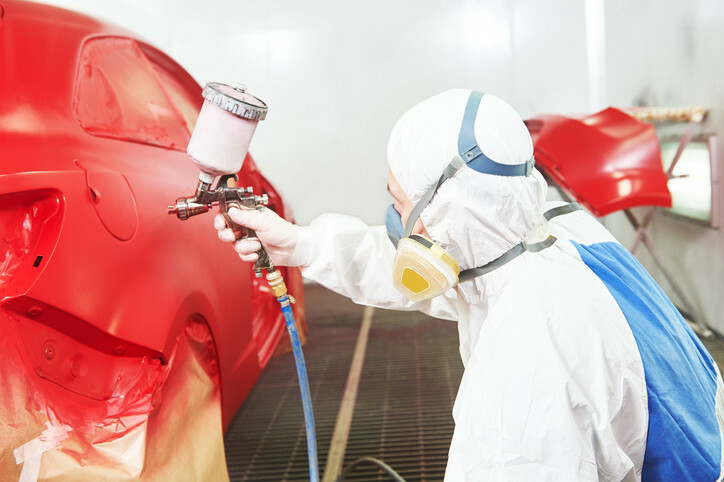 The company has experienced paint correction experts who will first assess your car’s paint work in order to determine the amount of correction that it will require. After that, your car’s paint surface is washed and decontaminated. After that, the experts measure every panel’s paint thickness using their paint thickness gauge. This enables them to know the amount of paint they need to work with so as to safely remove deep-laying imperfections. After that, scratches and swirl marks are then machine-polished safely using highest quality polishes and compounds. This leads to imperfections being leveled out and permanently removed. The result is a much improved clarity and shine that gets your paintwork ready paint protection coating. The company uses Ceramic Pro Paint Protection, which is a permanent High Gloss Nano-Ceramic Coating which perfectly bonds to the paint surface of your vehicle to give chemical and swirl mark resistance. Using high quality Ceramic Pro 9H, the car paint protection offered by Fine Shine Detailing also protects your car from harmful contaminants such as tree sap, bird droppings UV rays, oxidation and industrial fallout. According to Mr. Mandoudis, Ceramic Pro 9H has anti-graffiti and hydrophobic properties that guarantee that any liquid coming into contact with the surface will slide down and any dirt particles will be easily cleaned off. He also said that Ceramic Pro 9H gives extra toughness to your paintwork. This gives you the best possible protection from chemicals and environmental contaminants. The company uses special tools for cleaning your vehicle to remove any road grime and dirt, both inside and outside the car and in great detail. Apart from giving you a very clean car, detailing also helps keep your vehicle in top condition which greatly increases its resale value. The company says that they cover all the necessary aspects of detailing. Fine Shine Detailing is based in Melbourne and has experience of more than 15 years offering top-of-the-line car detailing for its Melbourne-best clients. According to their website, the company strives to exceed the expectation of their clients by providing premium-grade service to their clients so as to build a longstanding relationship with them. They use only the highest quality paint correction polishes, ensuring that their customers drive away a much happier lot than they drove in.